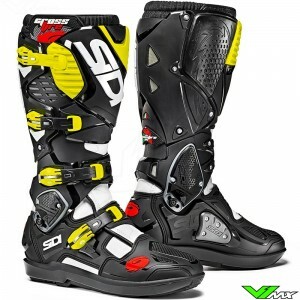 Sidi is one of the largest manufacturers of high quality boots for motocross and enduro. The Italian company works with best motocross riders in the world and has already won countless international and national championships. 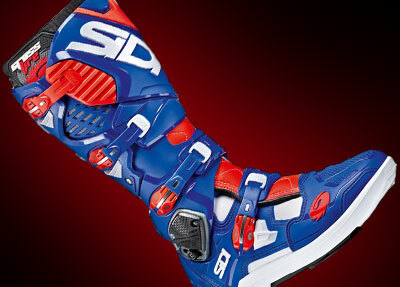 Check out the full range of Sidi motocross boots below. 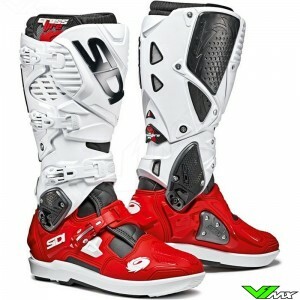 A feature that Sidi motocross boots are known for is the possibility to replace many parts. 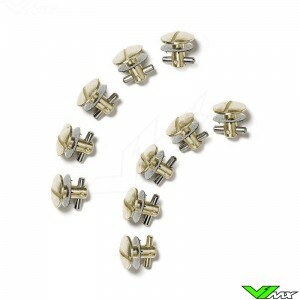 Most of the replacement parts are available in the V1mx webshop. 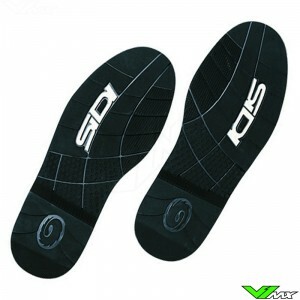 Sidi also has an entire collection of models with SRS soles. 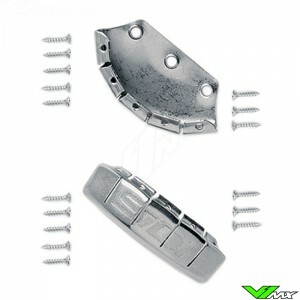 These soles are easily replaceable with the help of a number of screws. 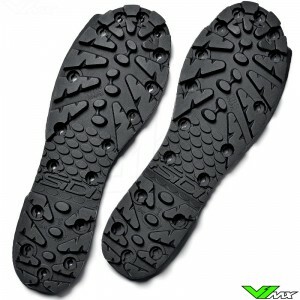 The big advantage of many replaceable parts is that you can maximize the lifetime of your offroad footwear. 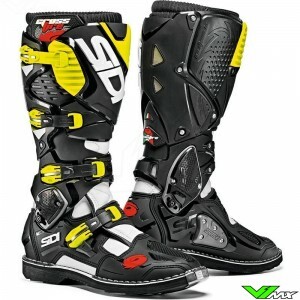 Sidi produces a wide range of motocross boots for both novice and professional riders. Below you will find more information about the 3 most popular models. 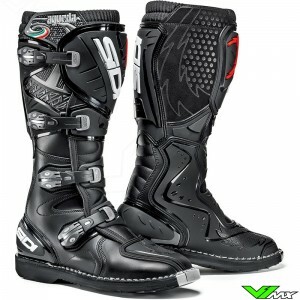 The Sidi Crossfire 3 are the most advanced motocross boots by the Italian company. This is the latest version of the popular crossfire line. It contains new technology to fight hyper extension. The new hyper extension system is positioned around the ankle. The fit of the Crossfire 3 is excellent due to several adjustable parts. 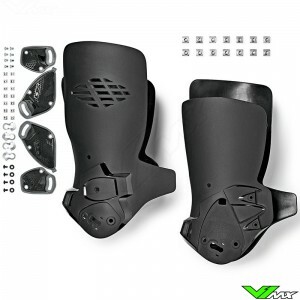 The upper part can be made large using the adjustable shin and calf plate. 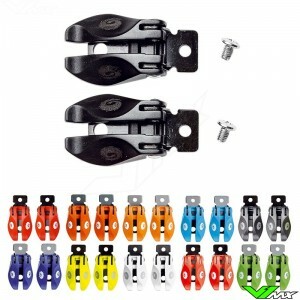 With these adjustabilities you can make room for wide calf’s. 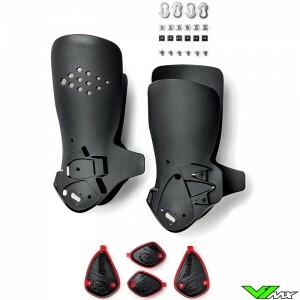 In addition, you can easily adjust the boots for use with knee guards or knee braces. This boot also has a top piece with is equipped with a hinge point, it ensure good freedom of movement and a personal fit. The Sidi motocross boots are designed by the best engineers from Sidi and with feedback from many professional riders. 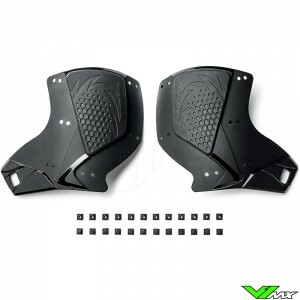 It offers good protection and is designed for riders who want to perform. 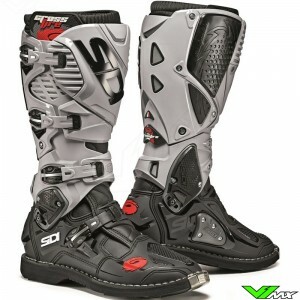 The Sidi Crossfire 2 is equipped with a double hinge system. There is a rotation point at the ankle and bottom of the calf. 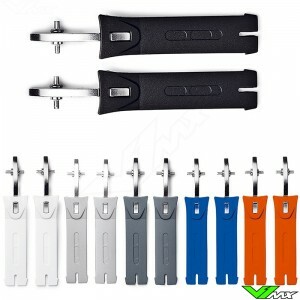 The 2 hinge systems work together to offer a lot of freedom of movement to the rider. It provides a natural movement and support for the ankle and foot. Furthermore, the rider is protected by large plastic protection plates. The construction of the crossfire 2 is narrow duo to the strong design without inner bootie. The inside is covered with a thick layer of padding for a comfortable fit and shock absorption. It is also equipped with moisture-wicking materials to promote breathing. 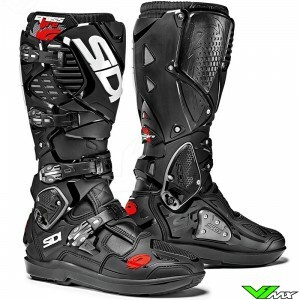 The Sidi X-treme is an offroad boot designed for advanced riders. 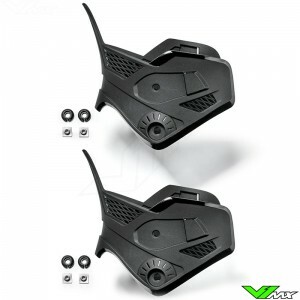 It contains many features of the more expensive Crossfire line, but in a lower prices package. These boots offer great freedom of movement through the hinge point, which is located at the ankle. 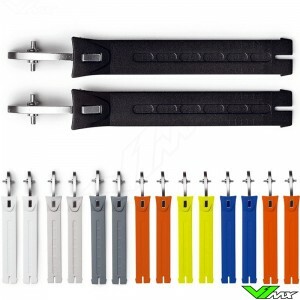 On the back a plastic movement block is integrated in the design to protect the rider against hyper extension. 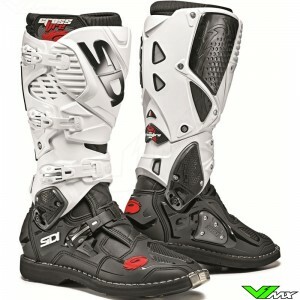 Another important aspect of these Sidi motocross boots is comfort. This has been improved, among other things, by the use of Cambrelle. This material is placed on the inside to drain water, moisture and sweat. 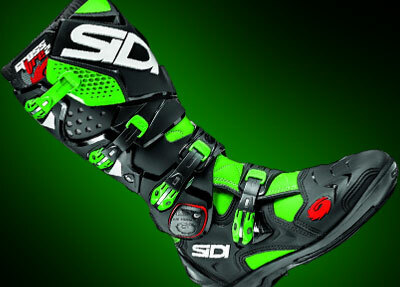 Sidi uses the innovative material Technomicro in the boot construction. This material behaves like leather, but has better properties. It is stronger, softer and lighter than the traditional material. The latest version is equipped with SRS soles, which allows you to extend the lifetime of you boots when the soles are worn. In addition to these 3 top models, Sidi has also develop a model for beginners, the Sidi Agueda. This contains all the basic features needed for beginners to enter the racetrack protected. There are not only boots for adults, but also for children. 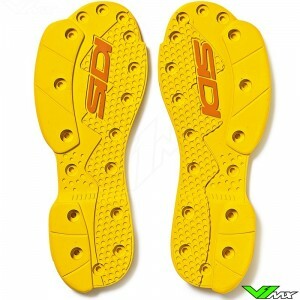 The latest version is the Sidi Flame. 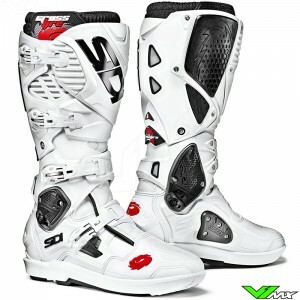 These and other kids motocross boots can be viewed and ordered in the youth department of the webshop. In 1960 Sidi started producing shoes and boots. Shortly after, Sidi started to improve motorcycle boots. The company has brought various innovations to the market. 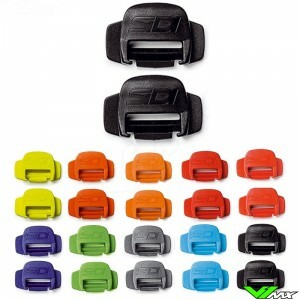 They were the first with advanced ankle protection, a sole replacement system and cam-lock buckle for offroad boots. 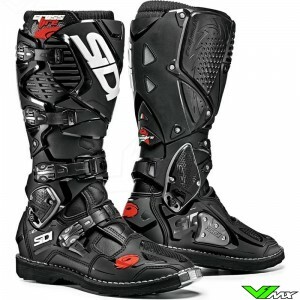 At the moment, Sidi is one of the largest manufacturers of motorcycle boots with an extensive range for both novice and experienced riders. The products are worn by thousands of off-road fanatics from all over the world. One of them is 9-time world champion Tony Cairoli. 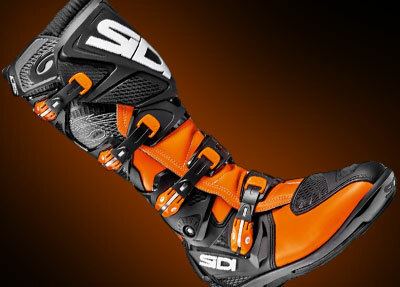 All 9 world titles have been achieved with the protection and performance of Sidi motocross boots. Do you have a specific question about the offroad boots from Sidi or about the ordering process? Please feel free to contact V1mx. 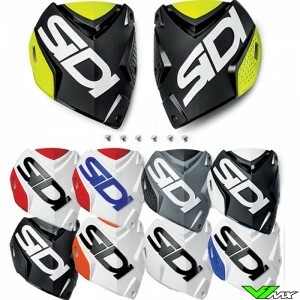 We are happy to help you choose the right motocross gear. Due to our large inventory and extensive network, we can deliver the footwear to you quickly and easily.